POSITIVO ESPRESSO: NeilPryde sponsor Laurent Depus at "Paris to London Bike Ride"
NeilPryde sponsor Laurent Depus at "Paris to London Bike Ride"
After the Earthquake and Tsunami that devastated the North East of the country back on March 11th, 2011, like many people I felt frustrated and helpless after the event and really wanted to do something that would make a difference. I got involved with JEARS (Japan Earthquake Animal Rescue and Support) and adopted a 3 year old beagle, I got involved with the group Second Harvest but still I wanted to do more. 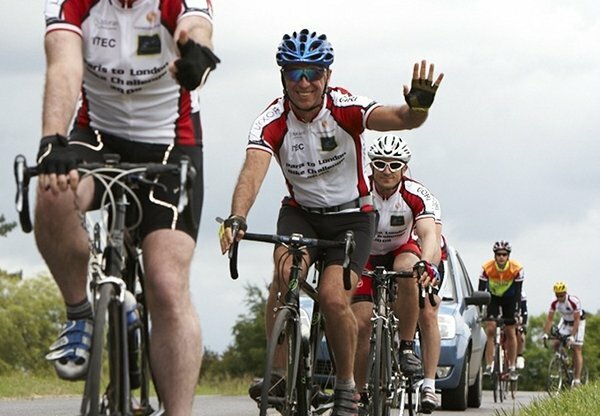 When I found out that my friend Laurent was raising money and awareness for the victims of the Earthquake by riding the Paris – London Bike Ride I decided I would do what I could to help, having lost my job recently monetary donations were out of the question, I had basically become a victim myself as the company I worked for collapsed due to the loss of revenue. So I decided I would do the next best thing.... use my network in the cycling industry to see if they could help. 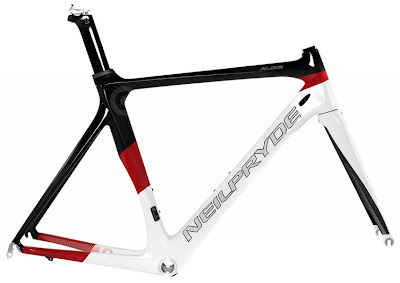 I sent out individual mails and literally within 5 minutes Mike Pryde of NeilPryde bikes came back asking what he could do to help and support Laurent. So I’m very proud to announce the NeilPryde sponsorship of Laurent Depus at the "Paris to London Bike Ride" charity event, which is a sporting and charity challenge organized by Société Générale, Laurent will be sponsored with an Alize frameset. 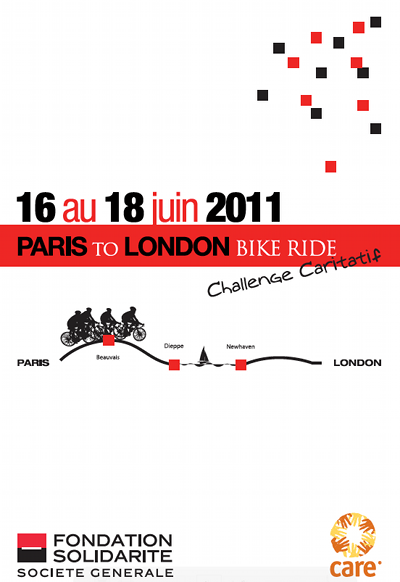 With 305 km to ride, the Paris to London is a sporting challenge, but also a solidarity event: each participant agrees to raise at least 750 € of online donations to help fund the CARE programs for access to education in Bangladesh and, in Laurent's case, for the victims of the terrible earthquake in Japan. Please follow the link to read Mike Pryde’s very touching response as to why he is sponsoring Laurent and the people of Japan, here. The frame will be auctioned off atthe end of the ride! Then again, unless I am looking in the wrong place, I see only one entry from him on the Neil Pryde website ... for our good old Ekiden Ride, which has morphed fully into a TCC event in recent years (and grown way, way beyond). I guess I'm nearly due for a new frame now that my Cervelo is approaching its 4th birthday ... and lots and lots of options. I'll be curious to see how MOB likes his new Canyon on Transalp, and noted that Canyon settled their patent fight with Cervelo (cross-licenses), and have Gilbert winning all the Benelux Spring classics, so they are off my blacklist. Never heard from Shane P. how he likes his Ritte Bosberg? "What is your favorite quote? Positive thoughts become positive words become positive actions become positive habits become positive destiny." So, he should join Positivo Espresso, right?